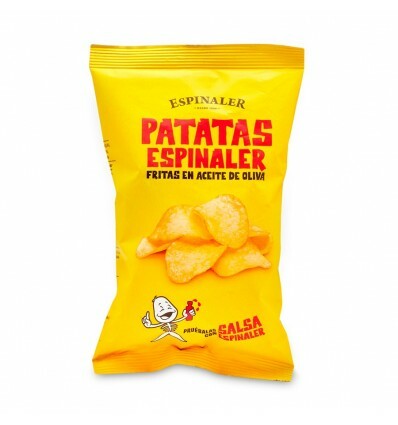 Chips Espinaler 50gr are delicious, after tasting the best chips producers of the whole region we decided on Chips Espinaler elaborated by hand with olive oil and reducing salt thanks to the elaboration process. The best way to it this chips is dipping them with the Espinaler Sauce 92ml and you will can't stop eating them! 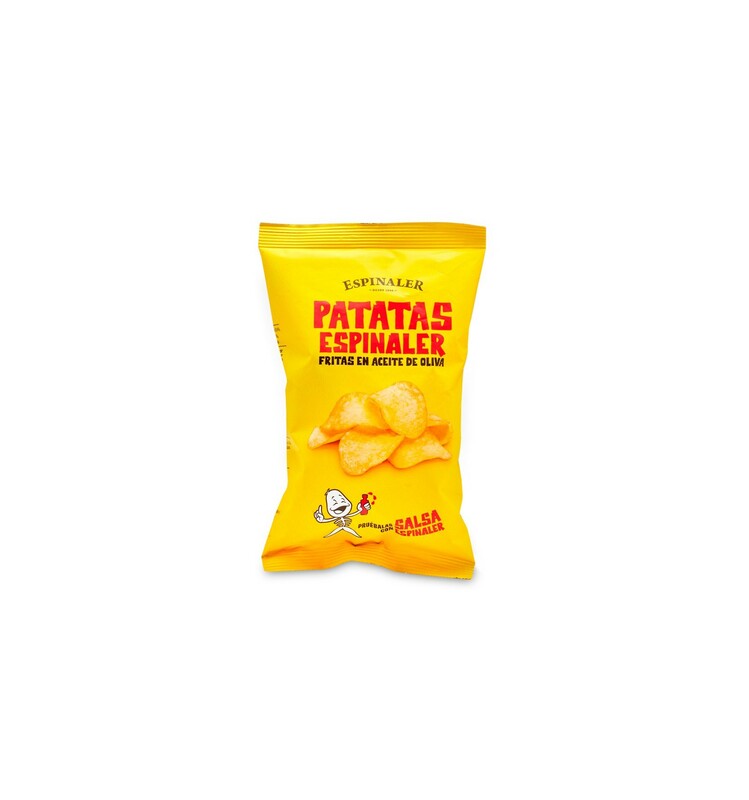 Ingredients: Potatoes, Olive oil and Salt.